MiniBrite™ pocket magnifier is a compact, 5x power, slide-out magnifier with a protective plastic sleeve. The PO-55 comes equipped with a built-in bright LED light. The sharp, distortion-free view is thanks to its crystal-clear acrylic aspheric lens. Aspheric lenses provide a clear image with no blurring and little to no distortion. The MiniBrite™ is a handy tool for those with low vision and is excellent for reading everyday items. 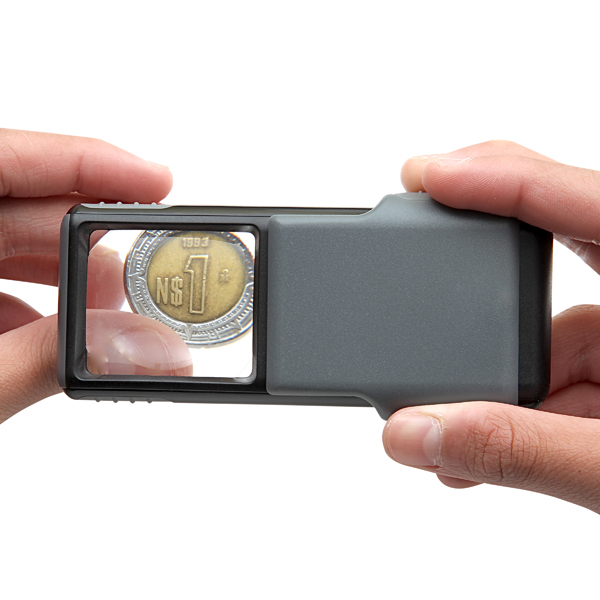 The MiniBrite™ pocket magnifier is compact enough to fit in your shirt pocket or purse.